Ed Benes and Rob Hunter Teen Titans #68 page 19 Original Art (DC, 2009). This masterful page from "Origins & Omens" includes a complete roster of Titans, plus Universe Guardian, Skar. 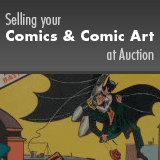 The art has an image area of 10.5" x 15.75" and it is in Excellent condition. Signed by inker Rob Hunter at the lower right.